The Roky 103 commercial dry vacuum cleaner is a high performance compact vacuum cleaner powered by a high suction flow thru vacuum motor. Designed specifically for commercial cleaning, this commercial dry vacuum cleaner is particularly suitable for healthcare facilities, shops, hospitality, and for use by professional cleaning contractors. 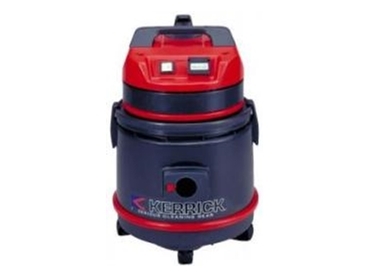 Kerrick machines and materials (including the The Roky 103 commercial dry vacuum cleaner) are backed by a comprehensive service network. Local service agents are able to provide repairs and spare parts.